The wood-carbon F2™ and wood-glass powered Formula Excel limbs provide premium quality Formula system options in a more budget minded configuration F2 uses select rock maple cores and sophisticated carbon layups for a smooth and powerful shot in three lengths from 22 to 50 pounds. 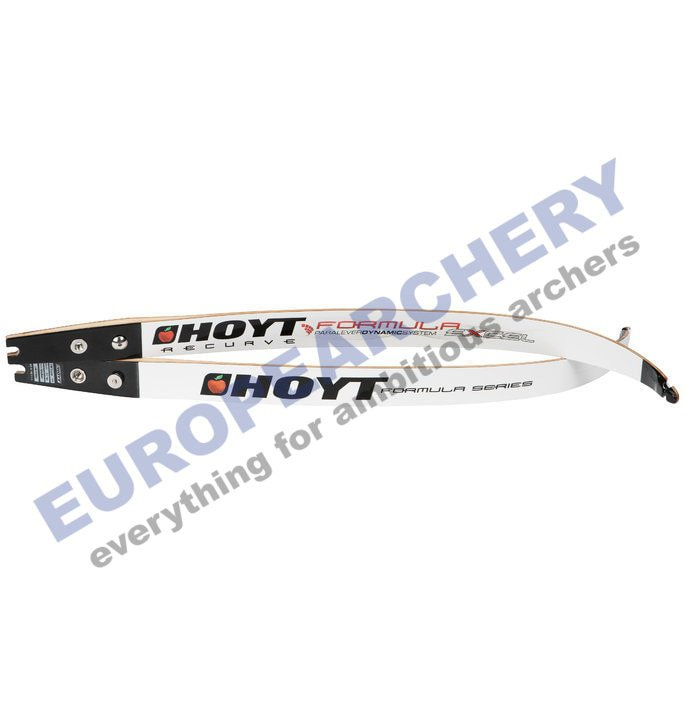 Formula Excel™ is the ideal starter, intermediate, club and program limb, with legendary Hoyt durability, craftsmanship and performance and a choice of three lengths in weights from 20 to 40 pounds. This item is close out. Please inquire about availability prior to ordering.